‘We have ways of making you want to buy’! Could be an apt slogan of any supermarket. Are you aware of the ‘tricks of the trade’ to get you to buy from car park to checkout? Let’s have a look at a few. Red signs in the car park banner discounts and special offers, reinforced in store; the colour red denoting savings some which may not be there at all! In the aisles, ‘eye-height is the right buy-height’. Brands often pay fees for these premium shelf positions, whereas the value brands are often relegated to lower positions. The slower you shop the more you may buy, so shoppers are channelled through ‘airy deceleration’ zones where pallets of seasonal goods often slow you down as do the floor tiles and the low tempo music. 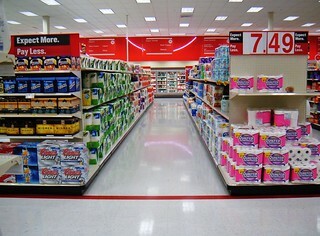 Staples like eggs, bread and meat are often far apart, making you walk through the whole store, being tempted all the way. Pairings are common place, for example, cheese next to butter and toothpaste with mouth wash. Not forgetting the ‘golden zones’ next to the checkouts, where magazines, chocolates and sweets are pandering to your sense of ‘reward’ for completing a good shop or as a sop to little Jonny’s impatience (notice the child height ‘grab height’!). The list goes on and on , but how about you spotting the potential ‘wallet emptiers’ in your local store and telling us about them? Next time, how about we look at some ways to avoid the temptation web?